Aligns with your Business needs. Organizations often do not have the IT personnel nor the cloud expertise to keep up with ongoing maintenance of their Office 365 and Microsoft Azure cloud environments. 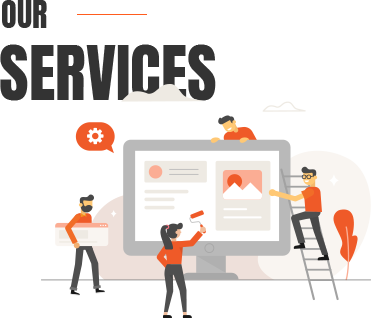 With integration of cloud solutions like Microsoft Office 365 and Microsoft Azure, organizations are in need of a comprehensive and dedicated managed services programs to provide monitoring and ongoing support for an efficient and secure cloud environment. Our cost-effective, dedicated Office 365 cloud managed services programs from ISHIR allow you to concentrate on focus on growing your core business. 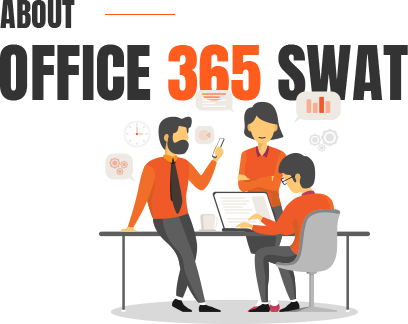 The Office 365 SWAT team can help you get the value out of your cloud investment, focus on driving business growth, enhance your ability to harness innovation, transform your business using the Microsoft cloud and derive maximum value from the investment. ISHIR has a successful track record of assisting small, mid-size and large enterprises (including other Certified Microsoft partners) to enable implementation with faster turnaround, enhanced agility and minimum disruption to the clients’ current business operations. Our team of Office 365 & Microsoft Azure Experts from ISHIR are here to support you. "Office 365 Swat team guided us to move to Microsoft Office 365 cloud technology to enable us to leverage the benefits to keep our IT infrastructure stable, costs containment and reliable service." "Office 365 Swat team has helped us move to the Microsoft cloud. We were able to migrate to Office 365 over the weekend. Thanks guys for some awesome work." "I am extremely pleased with support and professionalism of Office 365 Swat team. Due to them, we are seeing a 30 percent productivity increase in using Office 365. Would surely recommend them to anyone looking to migrate to Office 365." ISHIR has been in IT Outsourcing business since 1999 and has been in the forefront of the Cloud movement. With more than a decade of expertise and a premier Microsoft partner with Gold Competencies, ISHIR and its Office 365 SWAT team is uniquely positioned to help your organization navigate you through the complex cloud ecosystem. We offer a number of agile support options to suite your business needs. ISHIR leverages its exclusive relationship with Microsoft to deliver 24/7/365 support for your Office 365 and Microsoft Azure environment with quick remediation and ongoing support. We provide you with experts on-demand. Help transform your business operations. Accelerate adoption of Office 365 tools in your business. Support for Office 365 stack including ADFS, DirSync, E-discovery, and Compliance Management. Enable business to innovate with speed and drive efficiency. Sustain mission-critical applications and proactive monitoring. Modernize your IT systems over time. Augment your overtaxed IT team. Help you cost optimize the use of the cloud. Office 365 & Azure Cloud Strategy & Roadmap. Cyber Security Risk Management & Training. SharePoint Migration, User Experience Design & Development. Power BI Consulting & Development. Dedicated Consulting starting available from 8 hours / week. Custom Application Development & Enhancements. Office 365 Tenant Setup & Management. Proactive Monitoring & Service Disruption Management. Remote Office 365 & Microsoft Azure Experts. So you are thinking we’re the right folks for the job? Please get in touch with us. Call us right away to help you with your Office 365 transformation needs. I agree to receive other communications from ISHIR.